DWI in Monmouth Beach? We can help. If you are charged with a DWI or DUI in Monmouth Beach, NJ, You should have an experienced Monmouth Beach DWI attorney by your side. The right Monmouth Beach DWI lawyer can make all the difference in the successful outcome of your case. Our firm handles only DWI and criminal cases and has experience in the Monmouth Beach Court. Our office is located just a few short miles from the Monmouth Beach Court. 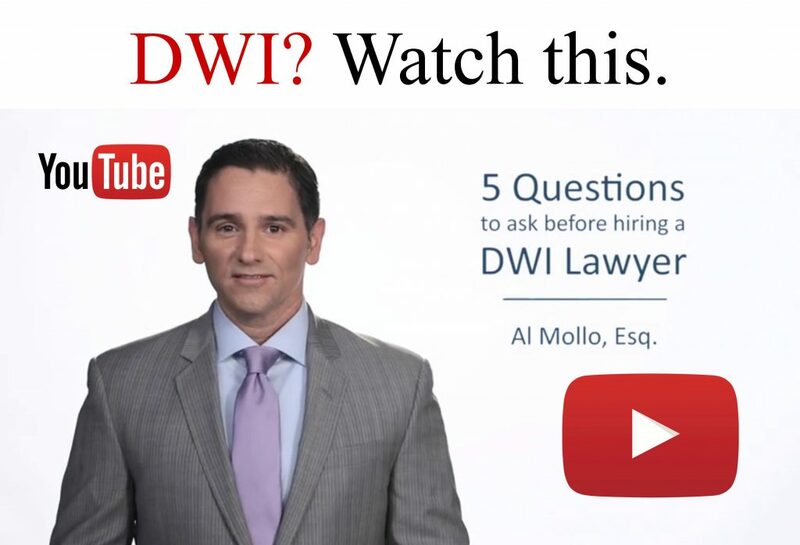 Attorney Al Mollo is one of very few attorneys in New Jersey to be certified in field sobriety testing, drug impairment recognition and forensic toxicology. He will personally represent you and bring this experience to defend your Monmouth Beach DWI charges. Drunk driving offenses in Monmouth Beach are among the most serious charges a driver can face. In addition to the penalties imposed by the Monmouth Beach Court, Monmouth Beach DWI defendants experience the stress and uncertainty associated with these charges. New Jersey has some of the toughest DWI laws in the country. Drivers convicted of DWI in Monmouth Beach face license suspension, fines, penalties and, in certain cases, the installation of an ignition interlock device. Drivers convicted of Monmouth Beach DUI are are exposed to jail for a first and second offense, and face mandatory jail for a third or subsequent offense. You can learn more about the Monmouth Beach DWI penalties by clicking here. If you are charged with DWI in Monmouth Beach, New Jersey, contact our office today. We will review the evidence against you, develop a strategy, negotiate a plea bargain with the Monmouth Beach prosecutor or, if necessary, have a trial before the Monmouth Beach Judge. The Mollo Law Firm, New Jersey DWI lawyers, has experience handling cases of this nature in Monmouth Beach and throughout New Jersey. We will pursue all available legal options on your behalf. Please contact our office at (732) 747-1844 or e-mail Al Mollo directly at amollo@mollolawfirm.com. Thank you.